It’s no secret that we have become a little fond of Estonia after visiting Tallinn Music Week for the last two years. So how could we say no to checking out the inaugural two day Sweet Spot Festival with the likes of Tom Odell, Jose Gonzales, Roisin Murphy and London Grammar on the lineup. 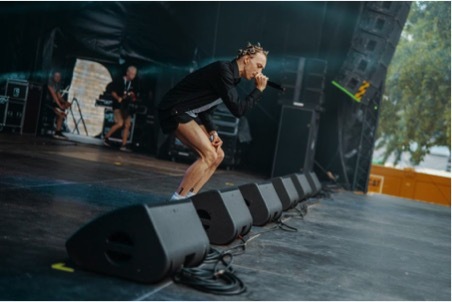 Despite being placed on the Sweet Spot Festival B Stage, Estonian rapper Tommy Cash attracted by far the biggest crowd of the entire weekend. We had to use a mixture of politeness, cunning and the occasional elbow to reach the front. Upon his arrival he was dressed in what could only be described as the stinky black pair of shorts and white vest, last seen by the unfortunate few who forgot their school PE kit. This look was topped off by a pencil moustache akin to Poirot and spikey hair not to dissimilar to Keith Flint in his Firestater days, although now the spikes were held in place by condoms. Cash is by far biggest star in the Estonian music scene right now, and its well deserved. On performing his song X-ray we couldn’t help thinking that 90% of the crowd needed X-ray eyes (or at least glasses) to see him. He also performed songs such as his latest hit Little Molly. After completing his set the crowd chanted his name for more than five minutes hoping for an encore, but of course he was too cool for that. 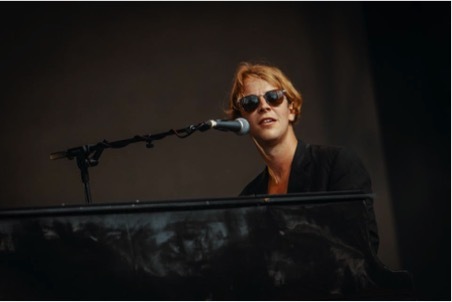 On arriving to the Sweet Spot Festival stage to watch Tom Odell it was clear to see that the audience was comprised of at least 90% women (and that is probably an underestimate). It was therefore no surprise that when he walked out, the Dennis the Menace of Indie pop had a face like a kid in a candy store. As each song progressed he slowly melted the hearts of the ladies in attendance, until a sudden thunderous downpour saw the crowd run for cover and him calling a 10 minute break. Upon resuming he played the song “Hold Me” and we couldn’t help thinking that is exactly what the sodden ladies in attendance wanted. NOEP played on the C stage at club PADA. To say it was packed to the rafters would have been very apt had there been a roof, so instead the spectators headed in to the trees to grab a better view. With the evening sun sinking and temperatures beginning to cool his song “San Fransisco” matched the mood of the crowd and climate perfectly. It is no surprise that his brand of electronic pop has gained international attention in recent years. With the mercury hitting 30C and the sun beating down, the crowd were in need of a little bit of cool. And then, outstepped Jose in a Hawaiian shirt, nonchalantly carrying a cold glass of white wine. 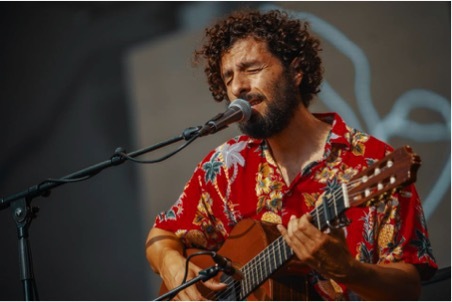 He proceeded to play a mixture of older songs such as “Teardrop” and newer ones like “The Forrest” (we certainly could have done with the shade of a few trees as we baked slowly in the sun). With as much desire from himself as the crowd, Jose played two extra songs, one of which was “Heartbeats”. With Sweet Spot Festival first night headliners London Grammar cancelling just one day before, the upmost respect must go to the organisers for securing an equally well known headline act – Irish songsters Kodaline. They didn’t disappoint either, playing a mixture of well-known hits such as “All I Want” and “High Hopes” as well as songs from their new album due later this year. LittleDragon were Jose Gonzales’s recommendation, and they certainly didn’t let him down. The Swedish electronic group were the first act to provide real energy and get the crowd going on the first day. 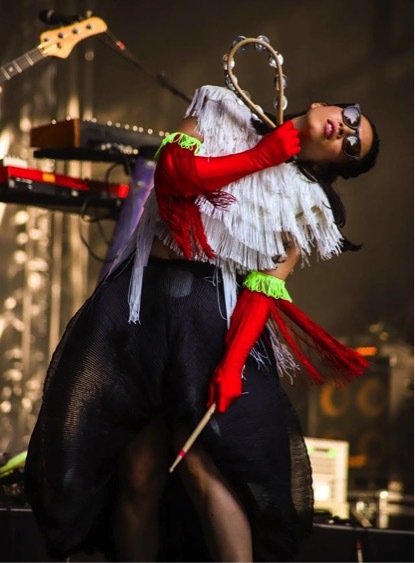 Charismatic lead singer Yukimi Nagano certainly grabbed the attention of the crowd, along with drummer Erik Bodin whose antics and spotty t-shirt likened him to a musical Mr Tumble. Words by Mark Taylor, pictures courtesy of Sweet Spot Festival.